Are you looking for handmade home decor pieces for the holiday? 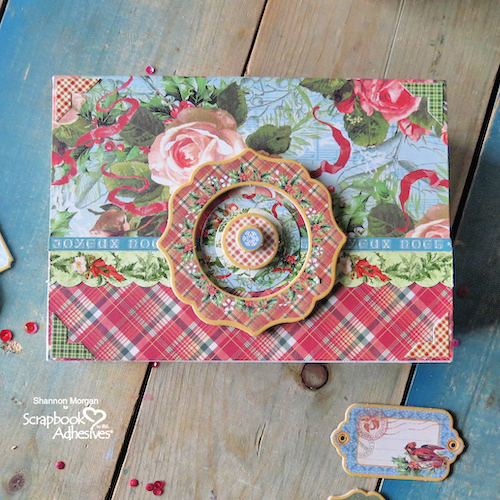 We have two projects to inspire you with, using Graphic 45. Stay with us until the very end to enter to win the giveaway, but first, let’s look at the beautiful projects! Don’t miss out on the other days that we shared Christmas inspiration! 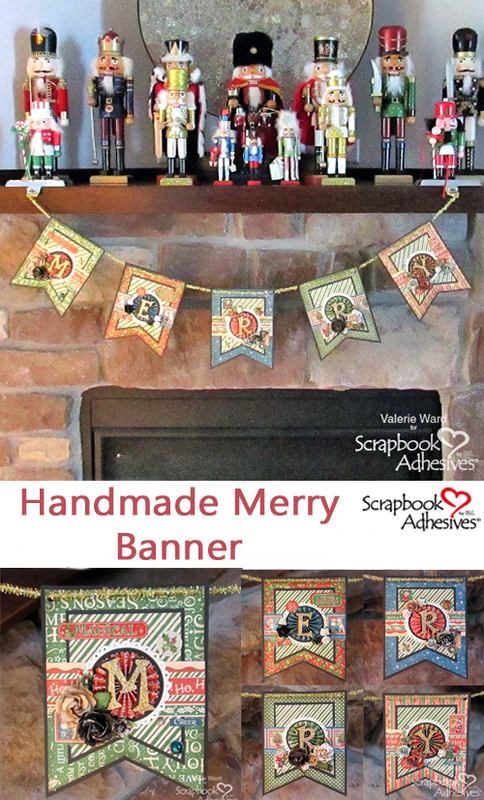 For my project featuring Graphic 45’s gorgeous Christmas Magic Collection, I created a banner for my fireplace! I used a banner punch board to create all the varying banner sizes that I needed. To adhere all the different layers of paper together, I used my E-Z Runner® Grand Refillable Dispenser with the E-Z Runner® Grand Permanent Strips Refill cartridge. The letters were cut from craft dies, glued together with the Dual Tip Glue Pen, and attached with E-Z Runner® Grand Ultra Strong Refill adhesive to paper rosettes which were assembled with Premium Double-Sided Tape 1/8 in., then attached to die cut circles using the same Ultra Strong Refill adhesive (which are then attached to the die cut scalloped circle shapes). All of the floral bling is adhered to the banner pieces using Adhesive Dots Small and Adhesive Dots Large. My final step was to punch circles in the upper corners of each banner piece with a circle punch, and string tinsel ribbon through them. Premium Double-Sided Tape 1/8 in. 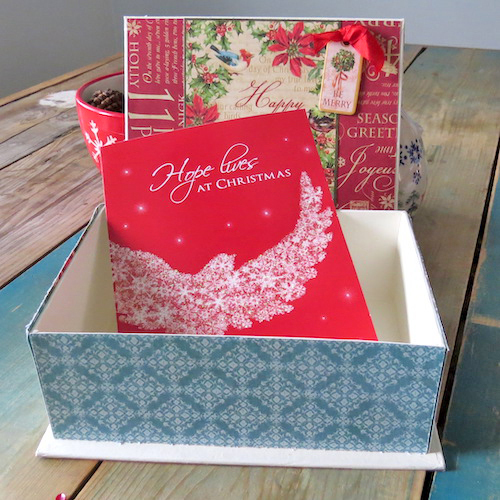 Are you like me and never quite know what to do with your Christmas cards? I always end up taping them to a wall. I wanted to do something different this year and Graphic 45 provided me with the perfect solution! They have book boxes that are just ideal for storage and display. 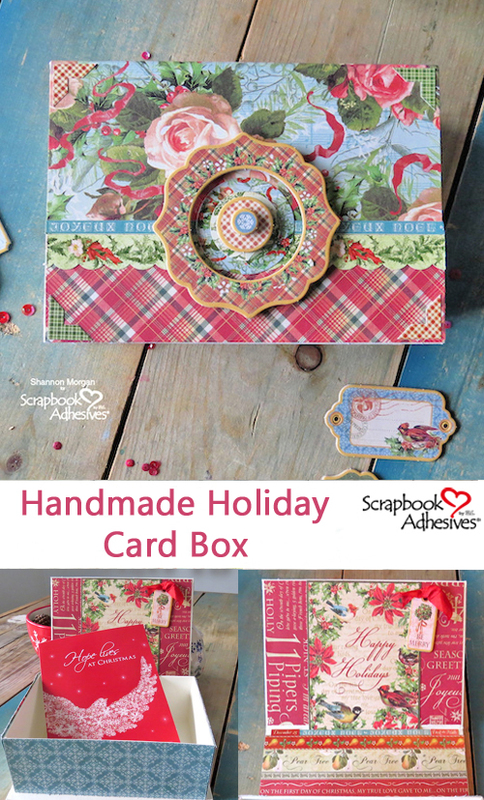 I used some coordinating 12 Days of Christmas papers along with my Scrapbook Adhesives by 3L® adhesives to create this adorable card box just in time for the upcoming holiday season! You’ll find some simple embellishments tucked here and there. I used 3D Foam Squares to make the embellishments pop as shown in the pictures. If you are searching for a solution, this inspires you to create your own card box! Have a great holiday season! We love to hear from you! 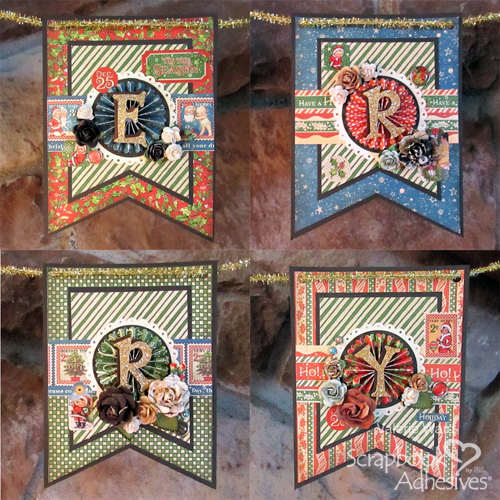 If you cannot see the comment section at the bottom of this post, please CLICK: Handmade Christmas Banner and Card Box with Graphic 45 and scroll down to the bottom of the post. This entry was posted in 3D Foam Squares, 3D Projects, Adhesive Dots & Lines, Adhesives, Beginner, Cards, Crafts & Tutorials, E-Z Runner® Grand, Gifts, Home Decor, Intermediate, Party Favors, Permanent Adhesive, Premium Double-Sided Tapes, Seasonal Craft Ideas, Skill Level, Winter and tagged 3D Foam Squares Mix White, 3D Foam Squares Small White, Adhesive Dots Large, Adhesive Dots Medium, Adhesive Dots Small, Banner, Blog Hop, Christmas, Dual Tip Glue Pen, E-Z Runner Grand Dispenser, E-Z Runner Grand Permanent Strips Refill, E-Z Runner Grand Ultra Strong Refill, Gift Box, Giveaway, Graphic 45, Holiday, Home Decor, Memory Box, Party Decoration, Premium Double-Sided Tape 1/8", Shannon Morgan, Valerie Ward. Bookmark the permalink. 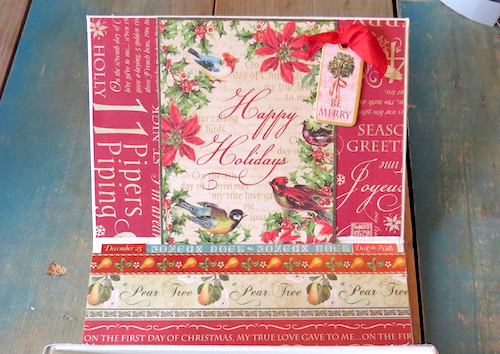 9 Responses to "Handmade Christmas Banner and Card Box with Graphic 45"
Gorgeous work here again today. I love the banner and the cards and the box are soooo gorgeous too. Great work ladies well done. Your banner is amazing. I love the Graphic 45 papers you used. They are my favorite paper company, by far. I would love to make a banner like that. Both projects are fantastic, I will definitely be making a version of the banner. Thanks for the inspiration. Your Banner is beautiful and that would be lovely to make but I can’t resist the box so that will be my number 1. Graphic 45 is a favorite paper. Thank you for the projects and chance to win your prize. 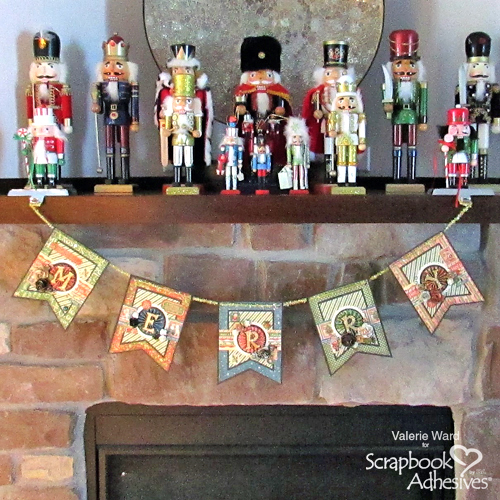 Love banners – make one for most holidays! 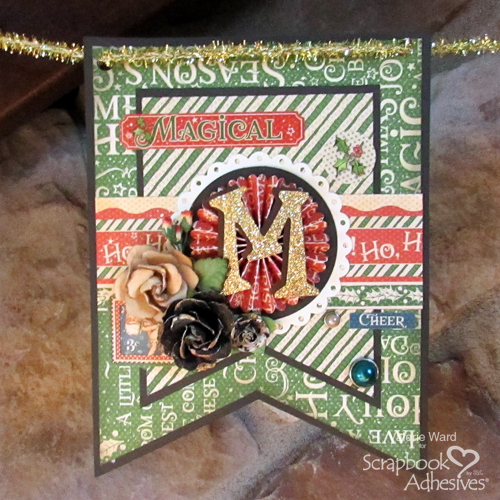 Graphic 45 Christmas Magic is lovely and high quality! Love the banner for the fireplace. I love the banner! I would love to make one to complete my holiday decor. I love the banner and will be trying it, love the contrasting colors you chose! Awesome inspiration!